Well this is one of the big boys of Japanese whiskies. Highly rated and award winning. There is a reason it’s in Ian Buxton’s “101 Whiskies to Try Before You Die” book. It’s not cheap and at this present moment in time (May 2nd 2015 as I write this) the 18 is hard to find and the prices at retailers are typically grossly inflated. Last time I checked, you would be lucky to find one for £200. Considering that 2-3 years ago you could get a bottle for $160 in the US, it’s hard to swallow. Recent price hikes for Suntory products will insure that retail prices never go back to the good ole days and diminishing stocks of older whiskies may mean that this expression will jump even further or perhaps even be retired. Well if you have a bottle, consider yourself fortunate and if you get a chance to try this for a reasonable price, do. Oh what a nose it is! It really jumps out at you. This is the whisky that convinces me that people should wear whisky like perfume. All at once there are a lot of things going on. Rich sweet melon and berries cheesecake. Roses petals. New room smell. Grape candy. For some reason I just get this vision of being at a desk by the window of a library with book smell filling the air. There is also a little grassy-ness to it. So I am thinking there is a lawn outside and a pastry shop nearby. Actually reminds me of studying when I was in University (even though I didn’t really do much of that). Ok yeah! The complexity continues! Oak spice right from the beginning with a slight hint of smokiness lingering somewhere. There are some spices in there too like cinnamon and a bit of star anise. The fruitiness comes across like a jam. More concentrated and hard to dissect. An oak or woody essence, like being in a wooden temple with incense. A sort of cedar-like aftertaste that stays. Also for some reason feels like what I imagine smoking a cigar is like (I have never smoked a cigar) from the tingly feeling in the mouth afterward. Its not the waxy texture that you get from Clynelish but another element that clings to the tongue and gums. Every time I have a dram of the 18, I feel special. For me, that’s what whisky is about. 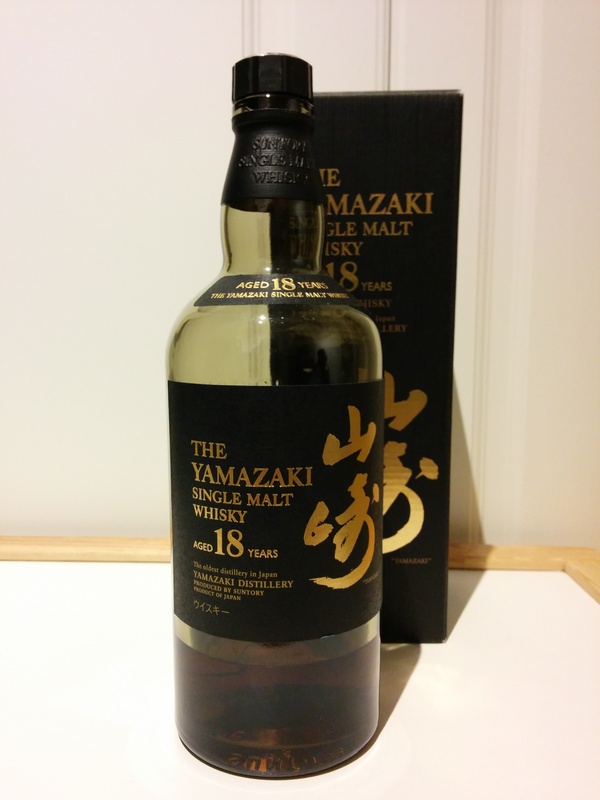 Every person who has offered me a dram of the Yamazaki 18 has been really cool and I think that means something.